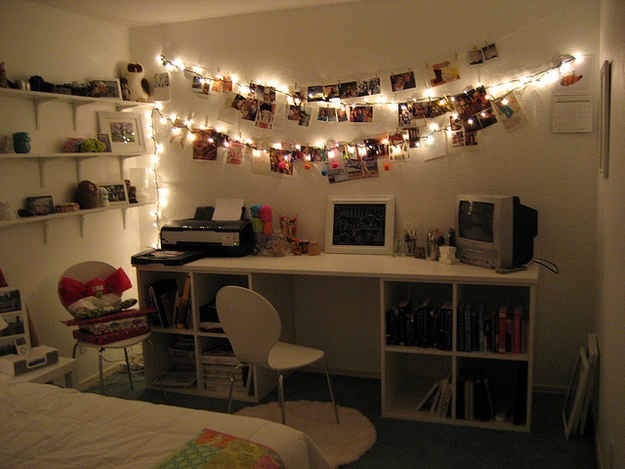 Ways to make your dorm room just like the movies! 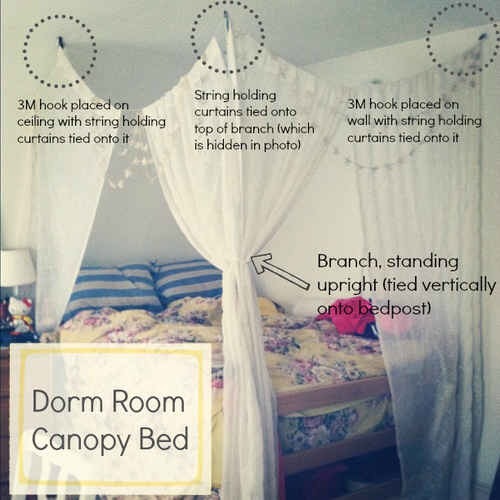 Add the final touches to your dorm room with these cheap and easy ideas. Get some string, photos, pegs and get hanging. This trick is easy peasy and looks super cute. What could be better than you and your roommate having matching beds! Get some curtains and follow the pictures steps. 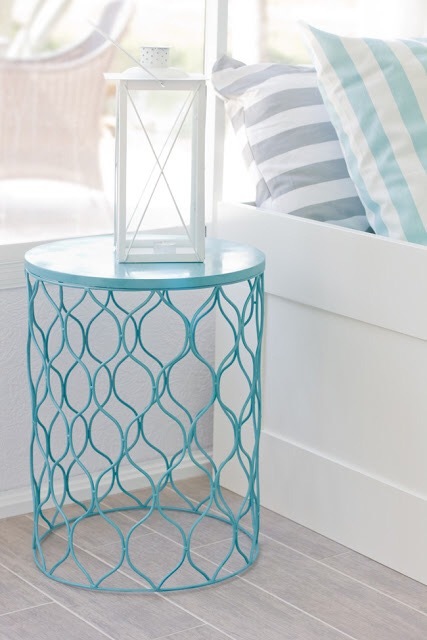 This Ikea waste bin makes a great bed side table and ‘pretty up’ any room. 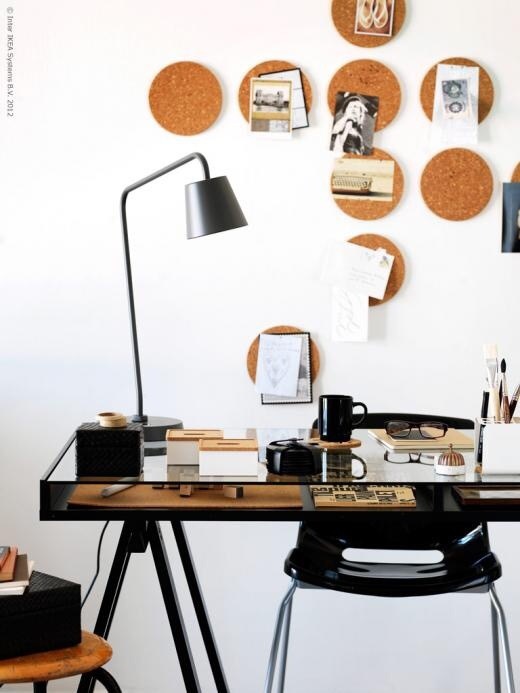 Get some cork screw boards(they range from €1.50 to €2.00 in local eurosavers) and hang them over your desk to stick your “to do’s” up on and keep your study area style savvy. Clear containers are your best friends! Put anything and everything in them and place them anywhere around the gaf. 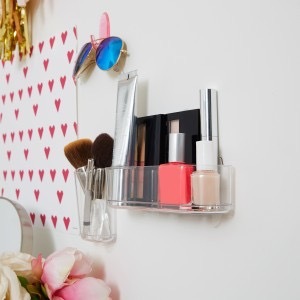 Try an even stylish idea by hanging them on your wall with some double sided tape. 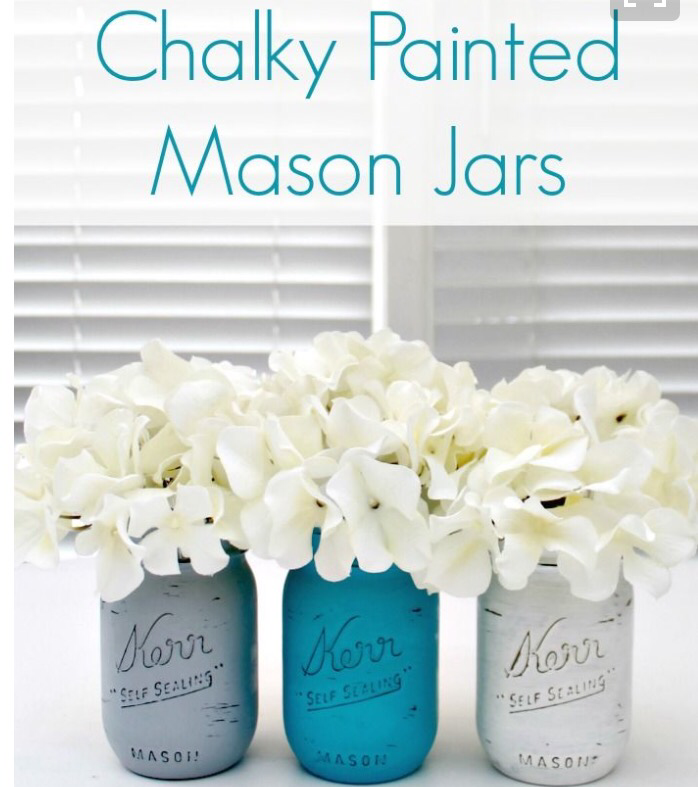 Stick some fresh or fake flowers into nicely painted mason jars to freshen up any small dorm room.